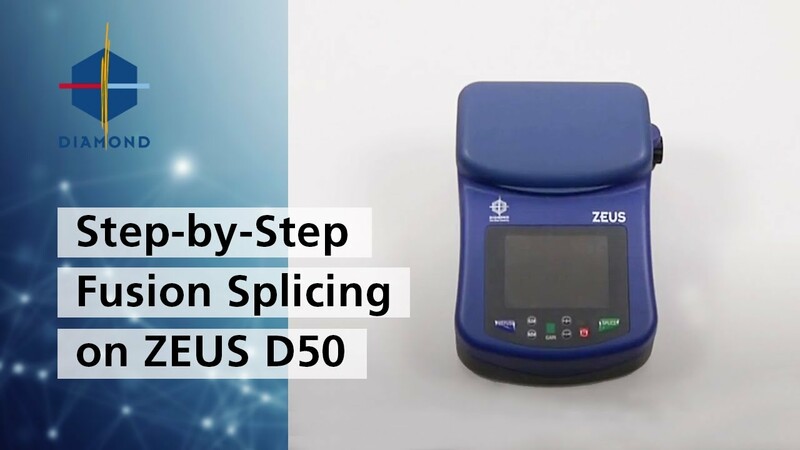 The ZEUS D50 Fusion Field termination kit provides fast, easy, and high performance field terminations of fiber optic connectors utilizing 1.25mm and 2.5mm ferrules, on both SM and MM fiber (250μm, 600μm and 900μm) and cable 1.6 to 3.1mm. The key to this system is DIAMOND’s new advanced "crocodile alberino" fusion ferrule assembly which eliminate the need of glue. The ferrule assembly, which is available in both PC and APC versions, provides a factory polished end face for low insertion loss and back reflection, as well as splice protection features. The fusion splice is performed and protected within the ferrule assembly eliminating the need for expensive and bulky splice housing, trays, holders, protectors, and fiber management. The FUSION Termination Kit includes: fiber splicer, fiber cleaver, fiber stripping tool as well as different fiber holders, in order to allow easy, reliable field termination.